The present fast moving age often has an unfavourable impact on our feeding habits and might lead sometimes to eating a non-balanced diet. A varied and well-balanced diet will provide our body with sufficient essential nutrients. 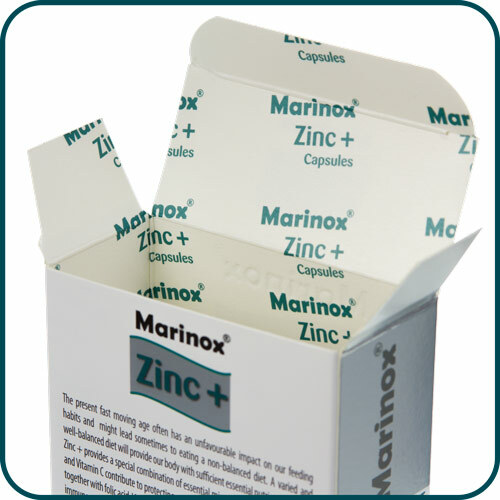 Marinox® Zinc + provides a special combination of essential micronutrients. Zinc, vitamin B2 and vitamin C contribute to protecting cells against oxidative stress. 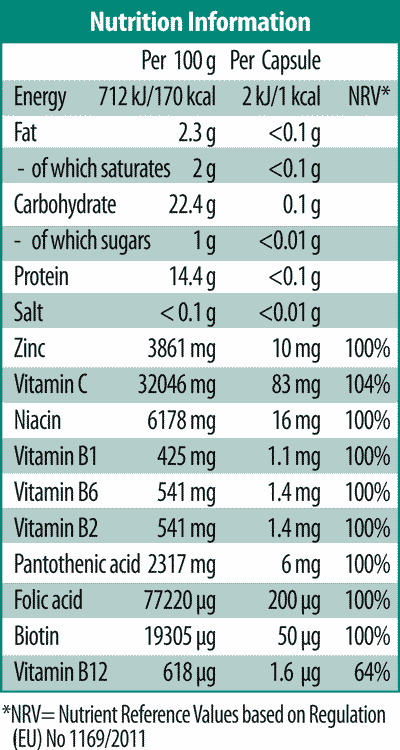 Zinc and vitamin C together with folic acid, vitamin B6 and B12 contribute to the normal function of the immune system. Niacin and folic acid contribute to the reduction of tiredness and fatigue. Zinc and biotin contribute to the maintenance of normal skin and hair. 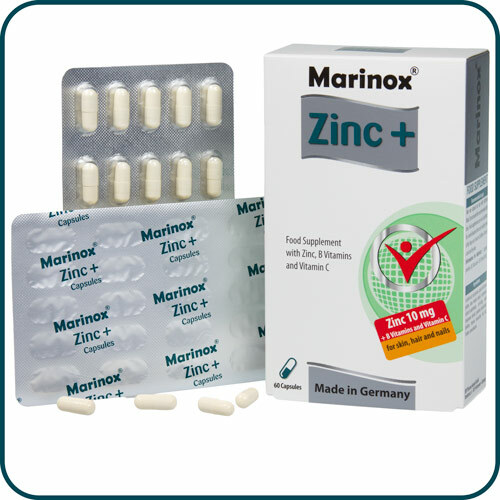 Zinc contributes to the maintenance of normal nails. avin, thiamine mononitrate, folic acid, D-biotin, cyanocobalamin. 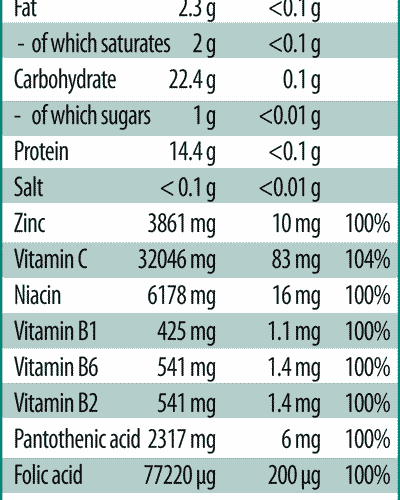 1 capsule provides 2kJ/1kcal and <0.01 bread units (BU).